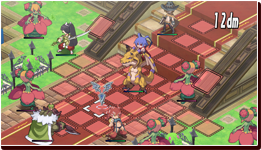 Monster units can now carry humanoid units on their backs! This system is called the Mounting System! 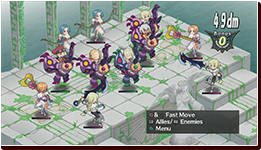 While a human is mounted on them, monsters can still move around and fight. 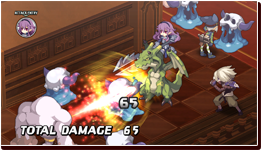 The unit that is mounted on the monster unit can attack and still use some Specials. While Mounted, the two units' likeability increases faster, and depending on how much they like each other, their stats will increase. 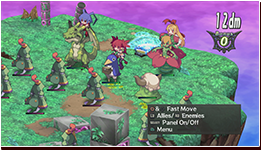 By using the Mounting System, you will be able to fight against stronger enemies! While Mounted, earned EXP is doubled. Stats increase and Mounted Skills are handy! A Mounting Original! Make your own original units and original team! Change things around by Mounting! Mounted Skills! A Humanoid and Monster, Fighting as One! Not only does Mounting allow stronger stats and faster likeability increases, it also has it's own Special Skills! They are called Mounted Skills! Mounted Skills are Specials that a monster and a humanoid do together. Depending on how much they like each other, the damage will fluctuate! Each monster has its own unique Mounted Skill. Mounted Skills Monsters can use Mounted Skills when they are mounted by a character! 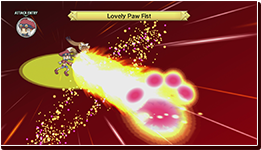 The higher the likeability between the two characters, the more damage the Mounted Skill will deal. 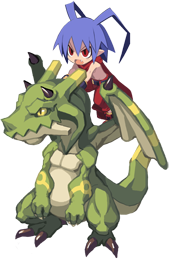 Start pairing a monster with a humanoid out and keep dishing out those Mounted Skills!